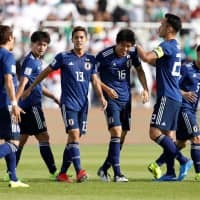 SHARJAH, UNITED ARAB EMIRATES - Defender Takehiro Tomiyasu netted his first senior international goal to send Japan into the Asian Cup quarterfinals with a 1-0 win over Saudi Arabia on Monday. The 20-year-old center back for Belgian side Sint-Truiden underscored his status as one of Japan’s next-generation stars by heading in the winner from a corner kick in the 20th minute at Sharjah Stadium. 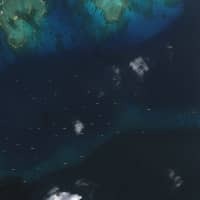 With their fifth win from six meetings against Saudi Arabia, the Samurai Blue advanced to a showdown Thursday with surprise quarterfinalist Vietnam for a place in the last four. 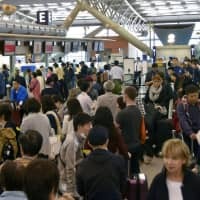 Four-time champion Japan benefited greatly from the Saudis’ inability to find the target, with the Green Falcons repeatedly firing wide of the mark after getting into good position. Of their 15 shots, only one forced a save from Japanese ’keeper Shuichi Gonda. The game’s lone goal came against the run of play as the Saudis, runners-up in Group E, looked to take the attack to Group F winner Japan from the outset of the round of 16 clash. After giving his reserves a run Thursday in Japan’s final group-stage match, a 2-1 win over Uzbekistan, head coach Hajime Moriyasu brought back most of his favored starters for the do-or-die match. 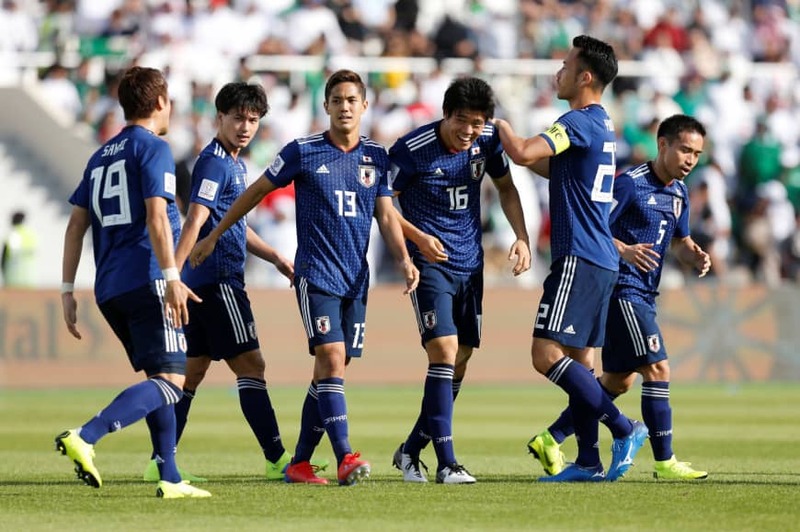 With the notable exception of lone striker Yoshinori Muto, who took the place of injured Yuya Osako, Moriyasu sent out an almost identical lineup to the ones that beat Turkmenistan 3-2 and Oman 1-0 in Japan’s first two matches. The 188-cm Tomiyasu converted Japan’s first chance of the game, shaking free of his marker and winning an aerial battle directly in front of goal to head home Gaku Shibasaki’s left-side corner kick. While thrilled by the goal, the center back, part of an intake of young talent following last summer’s World Cup, said his main focus had been at the other end of the pitch. “We were pressed back a lot, so I thought our best chance might come from a set play,” Tomiyasu said. 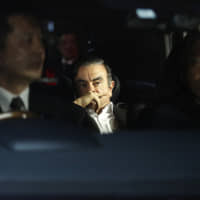 Japan, accustomed to dictating terms against Asian opposition, found itself forced to defend for long stretches inside its own half by the fast-moving Saudis. After showing aptitude for counterattacking throughout the group stage, Juan Antonio Pizzi’s men immediately went on the front foot against Japan. But their bluntness up front cost them dearly in a match they finished with more than 75 percent of possession. Defender Mohammed Al-Fatil let the Samurai Blue off the hook just a minute into the contest when he missed the target with a free header inside the box following a set piece. Captain Maya Yoshida put his body on the line to stop Japan conceding in the 12th minute, absorbing the force of a powerful strike from midfielder Abdulaziz Al-Bishi with his head inside the area. Despite having only 30 percent of first-half possession, Japan made its one clear chance count, with Shibasaki sending an in-swinging corner kick to the goalmouth for Tomiyasu’s opener. Midfielder Hatan Bahbri went inches wide of an equalizer 10 minutes before the break, curling a shot outside the left upright during a period of sustained pressure around the Japanese area. The Saudis finally forced a save from Gonda shortly after halftime when Salem Al Dawsari fired tamely at the Portimonense glove man from the edge of the box. Al Dawsari failed to capitalize on a golden opportunity in the 62nd minute, blasting high and wide from directly in front after striker Fahad Al Muwallad got behind the Japanese defense and pulled a pass back from the goal line. Despite its unbeaten run to the quarterfinals, world No. 50 Japan has yet to play 90 minutes of convincing soccer against any of its lower-ranked Asian opponents. 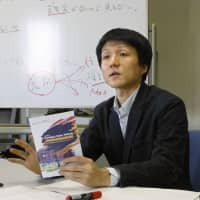 If Japan is to lift an unprecedented fifth Asian Cup trophy in the United Arab Emirates, it will need to improve amid tougher-than-ever competition, Yoshida said. “The Saudis have really grown in leaps and bounds, and it was a tough game. The bigger meaning of that is Asian soccer is getting more and more competitive, and we have to raise our game or else,” he said.